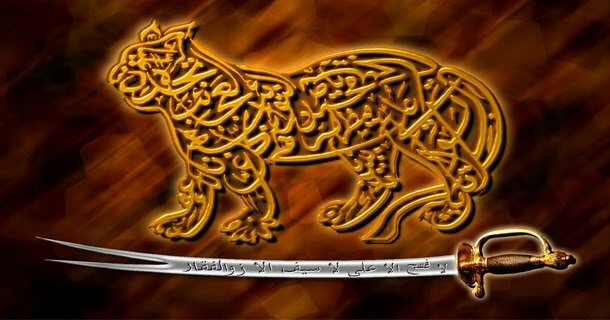 Shaykh Ahmad al-Farooqi Sirhindi (r.a.) son of Makhdoom Sheikh Abdul Ahad, descendent of Umar Farouq (r.a), Second Caliph, with twenty eight links in the chain, was born on the day of ‘Ashura, the 10th of Muharram in the year 971 H., in the village of Sirhind near the city of Lahore in present-day India. 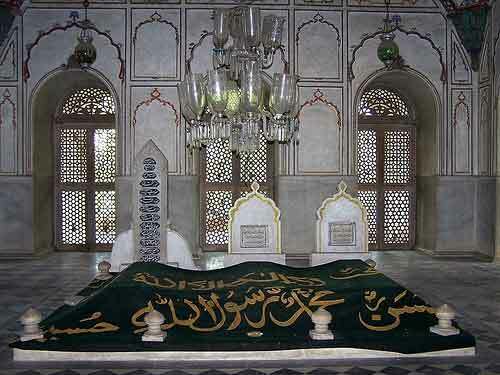 Sirhindi’s shrine is located in Sirhind, India and is referred to as “Rauza Sharif”.. It is said that the territory of Sirhind was a dense forest abound with lions so named as Sher-e-Hind which when mutilated became Sirhind. He received his knowledge and education through his father and through many shaikhs in his time. He made progress in three tariqats: Suhrawardiyya, Qadiriyya, and Chistiyya. He was given permission to train followers in all three tariqats at the age of 17 years. He was busy in spreading the teachings of these tariqats and in guiding his followers, yet he felt that something was missing in himself and he was continuously searching for it. He felt an interest in the Naqshbandi Sufi Order, because he could see by means of the secrets of the other three tariqats that it was the best and highest. His spiritual progress eventually brought him to the presence of the Ghawth and Qutb of his time, ash-Shaikh Muhammad al-Baqi, who had been sent from Samarqand to India by the order of his shaikh, Muhammad al-Amkanaki. He took the Naqshbandi Order from the shaikh and stayed with him for two months and some days, until Sayyidina Muhammad al-Baqi opened to his heart the secret of this tariqat and gave him authorization to train his murids in the Order. With the intention of proceeding on the Haj pilgrimage, he set out from Sirhind to Delhi and stayed with Maulana Hasan Kashmiri and from him heard of the virtues of Khawaja Baqi Billah. This aroused in him an intense wish to see him. When he saw, he was delighted, gave up the idea of the pilgrimage and engaged in spiritual training under the guidance of Khawaja Baqi Billah for three months. Hazrat Khawaja Baqi – Billah was so much impressed with the spiritual powers of the Mujaddid that he also awarded him the robe of his heir. On his return from Delhi to Sirhind he drew a detailed and extensive programme for the moral and spiritual awakening of the people along with introduced teaching and sermonizing. Not much time had elapsed that he was again called to Delhi and received two letters one after the other at short intervals. He went there. Hazrat Khawaja made him guardian of his children. This was their last meeting. After this the Mujaddid returned to Sirhind. Hazrat Baqi-Billah passed away in the meantime. The Mujaddid was in Lahore. When news reached him, he set out to Delhi immediately, paid homage to him at his grave and stayed for a short period of time. 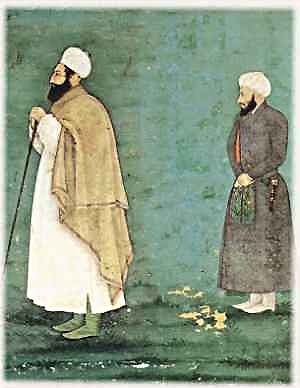 During the reign of Akbar, in the tenth century Hijri, Islam was passing through a lean period; was under seige of blasphemy, atheism, and irreligious. Akbar was providing state patronage to Deen-e-Ilahi and was practicing un-Islamic rites. Fire, trees, and water were worshipped. At this juncture. 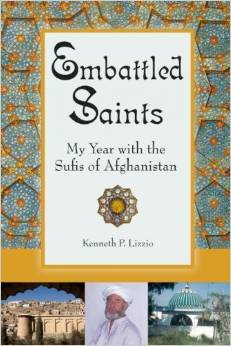 Islam needed a fearless believer to defend it against the onslaught. He did not permit the opportunist scholars and the misguided emperor to garner strength and kept the torch of truth burning in such trying times. His worldview focused on the idea that ontologically, the prophethood is far greater than closeness with Allah. He believed that Sufi ideas which centered around spiritual growth beyond the material world, while exhibiting key concepts, fell short of encompassing Islam as a whole. Sirhindi, still accepting and using these ideas of walayat, or closeness with Allah, focused on a much more human understanding and reality by focusing on following the sunnah of Muhammad (SAW) and his companions. His influence went so far as implementing jurisprudence in the Islamic world by emphasizing the Shariah and fiqh, integrating both into Indian Muslim government and society. This was accomplished through his 536 letters collectively entitled Collected Letters or Maktubat, to the Mughal rulers conveying his ideas. Abu Dawud related an authentic hadith that the Prophet, upon whom be Allah peace and blessings, said, ‘Allah will send at the beginning of every century someone by whom the religion will be revived,’ but there is a difference between the Reviver of the Century and the Reviver of the Millennium. It is like the difference between one hundred and one thousand.” In a vision, the Prophet gave me good tidings: ‘You are going to be a spiritual inheritor and Allah is going to give you the authority to intercede on behalf of hundreds of thousands on the Day of Judgment.’ He bestowed on me with his holy hand the authority to guide people, and he said to me, ‘Never before have I given that authority to guide people.’ Allah unveiled to me the Secrets of the Unique Oneness and He poured into my heart all kinds of Spiritual Knowledge and its refinement. He unveiled to me the Secrets of the ayats of Qur’an so that I found beneath every letter of the Qur’an an ocean of knowledge all pointing to the High Essence of Allah Almighty and Exalted. If I were to reveal one word of the meaning of it they would cut off my head, as they did to Hallaj and to Ibn ‘Arabi. This is the meaning of the hadith of the Prophet , in Bukhari, narrated by Abu Huraira (r), “The Prophet poured into my heart two kinds of knowledge, one of which I have revealed and another which if I were to reveal they would cut my throat. His works are his letters written to many of his contemporaries known as Maktubaat. “Moving to Allah is a vertical movement from the lower stations to the higher stations; until the movement surpasses time and space and all the states dissolve into what is called the Necessary Knowledge (cilm ul-wajib) of Allah. This is also called Annihilation (fana’). “Moving in Allah is the stage in which the seeker moves from the station of Names and Attributes to a state which neither word nor sign can describe. This is the State of Existence in Allah called Baqa. “Moving from Allah is the stage in which the seeker returns from the heavenly world to the world of cause and effect, descending from the highest station of knowledge to the lowest. Here he forgets Allah by Allah, and he knows Allah with Allah, and he returns from Allah to Allah. This is called the State of the Farthest and the Nearest. One day a man told him that his relative was grievously ill and requested to pray for him. He hesitated a little and said it was not proper to pray for health for the deceased. Hearing this he went out crying and when he reached his village he found his relative dead and the people were crying. He died on 9 Rabi-ul-Awwal 1079 Hijri.